Halloween is meant to be a fun-filled night for young trick-or-treaters, but it can also be dangerous if homes aren’t prepared for visitors. To reduce the chance of an accident or injury, it’s important for consumers to prepare their porch and front yard for the arrival of Halloween visitors. 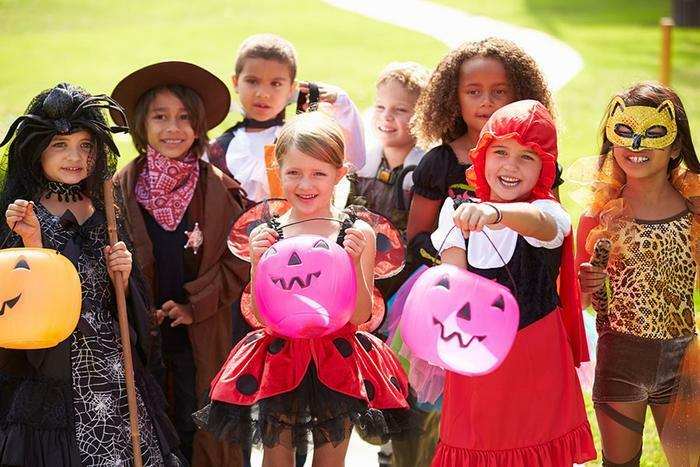 By making sure your home is scary for all the right reasons, you can help ensure that trick-or-treaters have a safe and enjoyable experience. Here are a few safety precautions you can take to prepare for the spookiest night of the year. When candy and excitement converge, giddy little ones may sprint to your door instead of walking. To reduce the risk of falls or injuries, make sure your lawn, driveway, walkway, and stairs are clear of trip hazards. Cut off access to exposed tree roots or other unsafe areas, and be sure to repair any wobbly railings, cracks in stairs, or loose pavers. You should also sweep the sidewalk leading to your home to clear away loose gravel, sticks, or wet leaves. If your front yard is decked out in light-up seasonal decor, make sure electrical cords are safely out of the way so they don't trip up young children or their supervisors. And although Fido might want to mingle with Halloween revelers, it’s probably best to keep him indoors. The American Academy of Pediatrics (AAP) recommends restraining pets so they don’t jump on or bite a trick-or-treater. Another way you can get your home ready for the holidays is to make sure it’s well-lit. Signal trick-or-treaters that you’re open for business by turning your porch light on. You can also brighten up the path to your door by turning on floodlights, laying down rope lighting, or putting up walkway lights. However, it’s important to ensure that all exterior illumination is safe and won’t cause a fire hazard. Consider using battery-powered lighting in candles and jack-o-lanterns, and keep any candle decorations on a sturdy, level surface that is well away from anything that could burn. Halloween is unfortunately one of the top five days for candle fires, according to the National Fire Protection Association (NFPA). Without proper precautions, “a seemingly innocent candle decoration or a flowing costume can quickly turn the holiday into a true horror,” says Lorraine Carli, NFPA’s vice president of communications. When buying Halloween candy, consider avoiding treats that pose a choking hazard to toddlers. You might also want to purchase candy that will be safe for children with peanut allergies. When shopping for allergy-safe candy, check the candy bag’s label carefully. Even if it doesn’t contain peanuts, it may have been made in a facility that processes peanuts. Another option is to purchase alternative treats for kids with food allergies, such as stickers, coloring books, or games from the party favor aisle. If you plan to provide a non-food trick-or-treat alternative, be sure to put a teal-colored pumpkin on your doorstep. Participating in the teal pumpkin project lets others know you have allergy-friendly treats on hand.